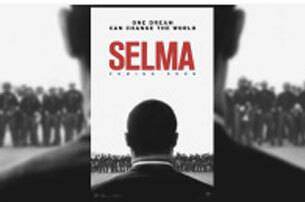 CACEO, along with the Future of California Elections, Assemblymember Sebastian Ridley-Thomas, Senator Ben Allen and the African- American Voter Registration Project (AAVREP) sponsored a recent screening of the film "Selma". The County Clerk Legislative Committee met last week at the State Capitol (members shown here on the Capitol steps). Their agenda included an update from Assemblymember McCarty. This CACEO SOS Transition Committee will be meeting with Secretary Padilla in Los Angeles on April 2nd. Recommendations to the Secretary will be distributed to CACEO members following the meeting. The CACEO Annual meeting is being planned jointly by Sonoma, Marin, Solano and Mendocino Counties. The agenda is nearly complete and will be coming out soon. Sessions will include VoteCal, vote centers, CDPH updates, public relations, Affordable Care Act and more. A strong push will be made this year (and next) to increase regional training opportunities for CACEO members. We are excited to announce that our first regional training opportunity will be taking place in the Mother Lode region, which will be held in Yuba City. The training will focus on signature verifications and will feature a Forensic Document Examiner. Look for date and times coming soon - additional trainings are being planned throughout the state on a variety of topics.